Looking for toddler-friendly holidays? Here’s some great advice on when and where to go, and how to organise your trip. Plus, I recommend the best companies that will ensure you have a fun and stress-free break. 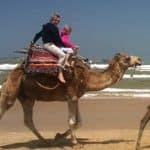 Is it a good idea to go on holiday with a toddler? Toddlers love their new-found mobility and freedom. They are, quite simply, unstoppable. Why venture outside your safety zone, to a world without stair gates and window catches? There are actually plenty of reasons why this is a great time to travel. For starters, you can go outside the busy, more expensive school holidays – and still enjoy great beach weather in short-haul destinations. In fact, the Mediterranean in high summer can be a bit too hot for toddlers – you’re better off travelling in the “shoulder season” months of May, June, September or October. Another good reason to holiday with a toddler is that children under two receive heavy discounts on airfares. Typically, children up to the age of two pay 10% of the full fare, but have to sit on an adult’s lap. Above two, and they’ll need their own seat and be entitled to a child fare – usually nearer 75% of the adult fare. What type of holiday should you take? With their newly discovered capacity to get-up-and-go, toddlers are usually game for an adventurous holiday. Take a look at these charming walking holidays in the Italian Dolomites and Catalonia . Other toddler friendly holidays for adventurous families include visiting Santa in Lapland and taking a malaria-free safari in South Africa. If your priority is to keep things simple, maintain meal routines and venture only as far as the pool or beach, then self-catering may be the way to go. Holiday parks provide flexibility and independence with the added bonus of supervised clubs for kids, giving you some well-deserved time off. I recommend Siblu, which has a wide choice of locations throughout France. 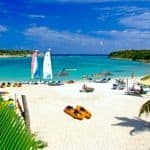 If you want the comforts of an all-inclusive resort, check out Club Med which has 46 resorts around the world that cater specifically to families. Its club, Petit Club Med caters for 2- and 3-year-olds. Check out the latest offers. A villa holiday can be equally relaxing – just be sure to pick a property with a fenced-off pool and lockable doors leading to balconies. Menorca in the Balearic Islands is particularly good for toddlers – with gently shelving beaches and short airport transfers. In Croatia, three-bed Villa Ivona has a fenced pool. Also check out our recommendations in Turkey, Crete, Catalunya, Northern Spain and the Greek islands of Kefalonia and Corfu. Italy has some wonderful family villas and cottages, whether you opt for the handsome rolling countryside of Tuscany or Umbria, or the stunning southern beaches of Campania and Puglia in the south. If you prefer a hotel, try this selection in Puglia, including the award-winning Borgo Egnazia. In Sicily, the Verdura Golf & Spa Resort is also very well equipped for toddlers with everything from non-slip bath mats to hooded towels. Children are worshipped in Italy, of course, and the food goes down pretty well too! Or take to the ocean waves. On all its family ships, P&O Cruises offer an in-cabin baby listening service plus a night nursery for children aged six months to five years, open every day from 6pm until 2am. Best ships for families include the Ventura and Azura, while Marella Cruises (formerly known as Thomson Cruises) offers tremendous value. 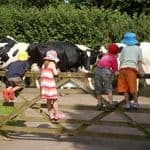 A farm holiday is a perfect choice for toddlers. Try this holiday on a working farm where youngsters can bottle-feed lambs and help collect the eggs. You’ll find locations in Devon, Cornwall, Dorset and Somerset. A cottage holiday is a great option for children under two. It’s good value and you can relax in glorious countryside, or close to a beach. 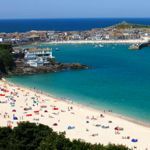 I recommend these selections of properties in Cornwall, Devon, the Isle of Wight, the New Forest, Northumberland, Norfolk and the Lake District. If you want to bring the family pet, see this selection of more than 200 dog-friendly cottages. Camping works well with young children, whether you are sleeping in a tent or renting somewhere more substantial. 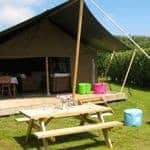 See our selection of the best family camping holidays. If you want some creature comforts you could opt for a hotel that caters specifically to young children. In this category we particularly like Gwel an Mor in Cornwall which has its own wildlife centre and great activities for children. Also, check out the excellent Sands Resort Hotel on the north coast of Cornwall. Find more holidays in Cornwall. What toddler could fail to love The Merton Hotel in Jersey? One of the UK’s most family-friendly hotels, it boasts a weather-proof Aquadome complete with pools, slides and fountains, plus child-friendly evening entertainment, spacious family suites, serviced apartments and four restaurants. If you’re venturing across the Channel you need to decide whether to fly or drive. This is very much a personal decision and depends on where you live, how far you have to travel and how your child copes with long car journeys. Again, with toddlers, self-catering is a great option. Once you cross the Channel, it’s not “cottages” but villas, gites, holiday villages and apartments. Whichever you choose, you are getting good value, freedom and total control over mealtimes and bedtimes. Looking for inspiration? Check out this collection of family apartments. It includes a loft in Paris, a canal boat in Amsterdam, a stylish apartment in Lisbon and a designer home in Barcelona. Jet2Holidays has a range of three-star and four-star hotels in Spain, Greece, Turkey and Cyprus, all with water parks on site, guaranteed to keep any toddler happy. Check out the deals on free child places. If you want childcare – and a well-earned rest for mum and dad – then go for a hotel with a great kids club. 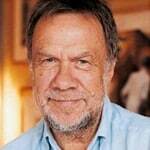 We recommend Daios Cove in Crete and Mark Warner’s new Phokaia Beach Resort in Turkey. The Costa Navarino resort on a beautiful stretch of coastline on the Greek mainland has extensive facilities for toddlers, as does the beautiful Sani Resort in Greece which is set on an ecological reserve with a gently shelving EU-flagged sandy beach. See our pick of the best kids clubs for toddlers at holiday resorts. If you enjoy your independence and don’t want to stay in a resort, how about renting a boat to cruise the rivers and canals of France, from Brittany to Aquitaine. The motor boats, which are suitable for young children, sleep from three up to 12 people and potter along at a sedate pace. No training is required. Find out more. 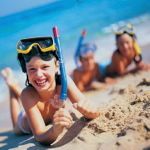 The Italian island of Sardinia also works well in the spring and autumn months: check out these family-friendly hotels. If you have a generous budget, try these luxury staffed villas in the Med. In Greece, the IKOS Olivia is a new upmarket all-inclusive hotel with superb facilities and sensible prices. It has a creche that takes children from four months to four years, along with clubs for older kids. 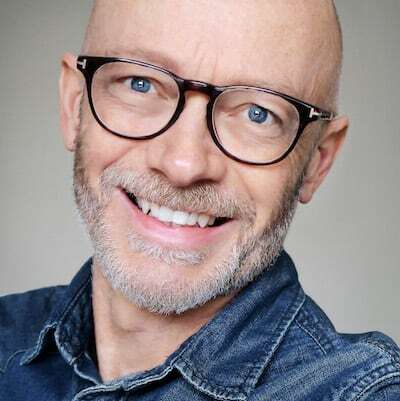 The luxury tour operator, Scott Dunn, has opened its own Explorers kids clubs at selected hotels including Pine Cliffs in the Algarve, Daios Cove in Crete and Almyra in Cyprus. They are aimed at children from four months old and are open six days a week, 10am – 6pm, offering everything from cookery to sports and outdoor adventures. Also at the luxury end, you could stay at one of Sir Richard Branson’s stunning family villas on his Son Bunyola estate in Mallorca, complete with a private chef. If you’re travelling in the winter months you’ll need to go a little further to get some guaranteed sunshine. We recommend The Ritz-Carlton, Abama in Tenerife and Lanzarote, both within about 4 hours flying time of the UK. The Caribbean is a great long-haul option, particularly in winter when humidity is low and temperatures are steady at around 30ºC. Direct flights from across the UK make the journey surprisingly practical, particularly if your child can sleep through the return (overnight) flight. Where to go? It’s more about picking the right hotel, and an island with direct flights. We recommend the luxurious Rosewood Little Dix Bay in the British Virgin Islands and, if you want an all-inclusive with lots of facilities and great childcare, try Beaches resorts in Turks & Caicos or Negril in Jamaica. Mauritius is a little further but it’s more or less directly south from the UK so jetlag isn’t a problem. If your toddler sleeps on the flight, getting there should be a breeze. The island has some outstanding hotels with wonderful childcare. Try Beachcomber’s family hotels in Mauritius (see the latest special offers). You can even enjoy the Maldives with a toddler in tow. The NIYAMA Private Island has supervised care for children aged 12 months and over with lots of fun activities. 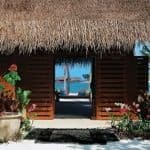 The Constance Halaveli has a two-storey beach villa with its own pool. For more ideas please visit 101 Family Holidays (you can select “toddlers” on the homepage). See our expert tips on flying with young children. You may also like to see our recommended holiday ideas for baby. 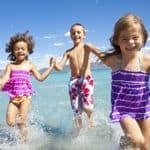 If you’re still not sure where to take your toddler on holiday, why not try our family holiday quiz. Answer a few fun questions like the one below and we’ll tell you what kind of family you are, and give you a selection of personalised recommendations. Try the quiz now. Q. Where can we find a holiday with our toddler next summer that is not a busy packaged resort? A. Our recommendations for toddler friendly holidays include Corsica, Cyprus, Brittany, South of France and Halkidiki. Corsica – under two hours’ flight and a great choice of family-run hotels. Corsican Places has a tremendous choice and really know their stuff. Halkidiki – Sani Resort. A choice of superb toddler-friendly hotels within the one resort. Very high quality, excellent child facilities, and it’s not dominated by Brits. Find out more about Sani Resort. 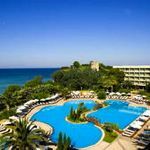 Cyprus – the Almyra in Paphos is very family-friendly, walking distance of seafront restaurants and offers a BabyGoLightly pre-order service for baby/toddler prerequisites. Book with i-escape. It goes without saying that you will find the prices significantly lower in the shoulder seasons of May/June and September/October when compared with the summer school holidays. Even travelling in the first week of July, before the school holidays start, will make a difference.